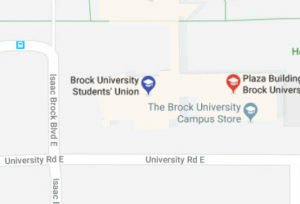 Brock University is administered by a bicameral governance structure, Senate and Board of Trustees. Senate is responsible for the educational policy of the university, and, with the approval of the Board in so far as expenditure of funds is concerned, may enact by-laws and regulations for the conduct of its affairs. The University has the power to establish and maintain such faculties, schools, institutes, departments, chairs, and courses, as the Senate deems necessary and as approved with respect to finances and facilities by the Board. The Senate consists of 67 members. This include 36 elected full-time teaching staff and professional librarians, and, two members of the Board of Trustees, six (6) undergraduate and two (2) graduate students, and one Alumni Association representative elected by their respective constituencies. There are also 20 ex officio members of Senate. The Senate meets monthly from September to June to conduct its business. There are currently eight (8) standing committees, one special committee, and one board meet to conduct business that is brought forward to Senate.